Tel Rekhesh (Arabic name: Tell Mukharkhash) is located in the vicinity of Mt. Tabor, north Israel and one of the two largest sites in the eastern Lower Galilee. 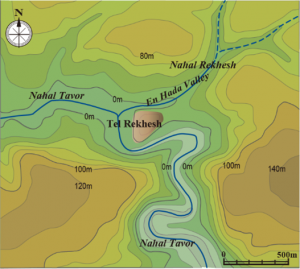 The site is on the natural hill rising on the riverbed of Tabor River (Nahal Tavor), which runs from the Mt. Tabor and pours into the Jordan River. The tell is situated in the national park where hikers enjoy the beauty of the nature all year round. The peak of the tell is 34 m above sea level, and the area covers 45 dunam (ca. 45,000 sq. meters). The tell is in an oval shape, whose long axis lies in the northeast-southwest direction. On its south-western side, a long slope declines along this axis and forms three terraces. There is a flat area on the top of the tell, which we call “acropolis” area (ca. 600 sq. meters). 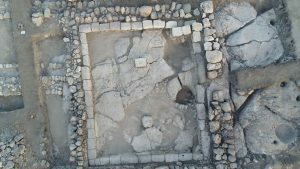 Several archaeological surveys were conducted in the region of Tel Rekhesh. Some remarkable findings from the site, collected by local people, are now exhibited in the archaeological museum in the Kibbutz Ein-Dor, some 5 km from Tel Rekhesh. The collection includes a fragment of Egyptian stela, a clay model of a temple, and complete pottery from various periods. According to the surveys, the site was almost continuously occupied from the Early Bronze Age to the Byzantine Period. According to the Bible, this region is allocated to the tribe of Issachar (Joshua 19:17–23). 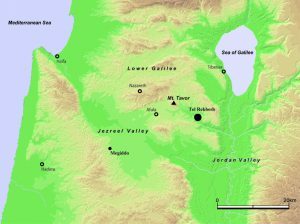 Y. Aharoni identified the site with the biblical Anaharath mentioned in the Book of Joshua (Joshua 19:19). This city is also mentioned in the list of Thutmose III (ca. 1500–1450 BCE) and that of Amenophis II (1417–1379 BCE). Recent petrographical analysis of the El-Amarna Letters written on clay tablets show the possibility that some of the letters (EA 238–242) may have originated from the region of Tel Rekhesh. We have so far conducted eleven seasons of excavations (2006–2010, 2013–2017) which yielded remarkable results contributing to the understanding of the history of the region. 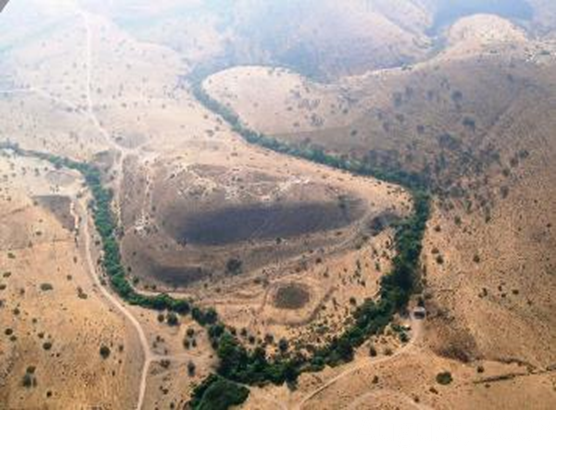 In March 2006, Tel Rekhesh expedition began excavating at Tel Rekhesh on behalf of Tenri University (Tenri, Japan) and Rikkyo University (Tokyo, Japan) under the direction of M. Okita (Tenri University; chief director; 2006–2007), H. Kuwabara (Tenri University), A. Tsukimoto (Rikkyo University; chief director 2008–2010) and Y. Paz (Ben-Gurion University, Beer-Sheva). 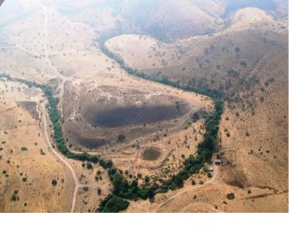 The excavations were conducted in March 2007, August 2007, August 2008, August 2009 and August 2010. The main goal of the excavations was to elucidate the nature and the settlement history of the site through excavating various points of the site. After two years of study seasons (2011–2012), we resumed the excavations in August 2013 on behalf of Tenri University (Tenri, Japan; chief director 2013–2017) and Rikkyo University (Tokyo, Japan) under the direction of H. Kuwabara (Tenri University), S. Hasegawa (Rikkyo University) and Y. Paz (IAA). We focused our excavation on the crest of the mound to investigate the monumental building complex dating to the late Iron Age as well as the small Jewish village dating to the early Roman period. The major achievement includes the discovery of a synagogue of the first century CE.